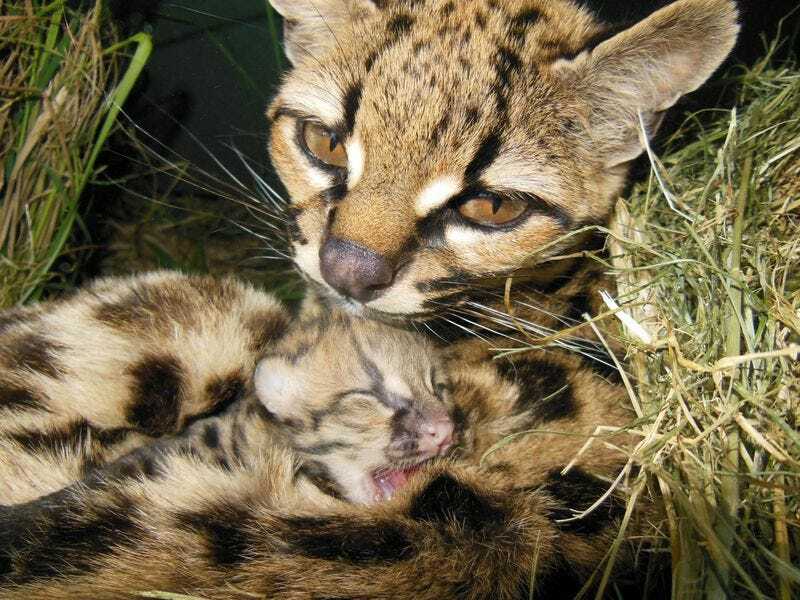 On November 1st, a Margay gave birth to a tiny, healthy kitten at Bioparque M'Bopicua in Uruguay. Margays are native to Central and South America and are among the most skilled climbers of all cat species. They typically give birth to litters of only one kitten. I've written about Margays in my Caturday series.